Naoshi Mizuta is a Square Enix composer and ex-Capcom musician best known for his contributions to the Final Fantasy XI franchise and Parasite Eve II. Born on January 24, 1972 in Kochi, Mizuta enjoyed the music of Ryuichi Sakamoto from an early age and played the bass guitar reasonably well, but was never particularly passionate about music. He therefore chose to study Law and Economics at Chiba University instead of being formally educated in music. Growing to enjoy listening to music while at college, Mizuta started to compose a little, desiring to create music similar to his favourite artists. After graduating, he decided to abandon his career in law in favour of becoming a composer and, while searching for jobs, decided to apply for a role in the sound team of Capcom. 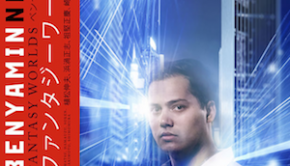 Although he did not play many games during his youth, he realized the potential of game music while playing Policenauts and thought the role could be a satisfying one. Mizuta’s first role at Capcom was the score for Street Fighter Alpha (aka Street Fighter Zero), a prequel to Street Fighter II released in 1995. He contributed a humorous depiction of Dan, jazzy arrangements of Ken and Chun-Li’s classic themes, and some mellow ending themes, while veterans at the company handled the remaining pieces. Some of these tracks were also reprised on the sequel and its arranged album. In further early roles, Mizuta provided some assistance to Masato Kouda on the orchestral arcade score Shadows Over Mystera and offered a bonus remix on the album release for Darkstalkers 3. Mizuta subsequently scored 1998’s classic Mega Man retro spinoff Rockman & Forte in a leading role, distinguishing the music from other Super Nintendo scores for the series with his ostinato-based approaches and use of light-hearted jazz music. He was also given special thanks for his sound assistance on the company’s horror score for Resident Evil 2; he created one composition for the final score, the industrial ambient music for the underground laboratory. After noticing a recruitment advertisement, Mizuta applied to join Square as a composer in 1998. His involvement in Resident Evil 2 especially impressed his interviewers, as they intended to integrate survival horror elements into Parasite Eve II with the help of some ex-Capcom employees. Making the challenging transition from assistant composer to score producer, Mizuta worked on Parasite Eve II’s score for 18 months. The composer focused on producing music that would enhance the atmosphere without necessarily standing up outside the game. He repeatedly watched visual sequences from a wide variety of movies to gain musical inspiration and also worked closely with the game’s development team in order to fit each scene. Aside a few reprises, Mizuta took the series’ music in a new direction, using ambient noise in many of the setting themes and unsettling ostinati throughout the battle music. Despite a mixed reception among soundtrack listeners, the music complemented Square’s direction for the sequel. Following this role, he was a guest contributor on the rock soundtrack for All Star Pro Wrestling. Mizuta received his big break when he was assigned to score the MMORPG Final Fantasy XI. Taking Yasunori Mitsuda’s original place on the project, Mizuta created the majority of the compositions under the supervision of Nobuo Uematsu. He complemented the scenery of Vana’diel using rich organic palettes, subdued melodies and harmonies, and slow steady development. His orchestral battle themes combined influences from Nobuo Uematsu’s classics with his own edgy rhythms and brassy focus. He also created marches to portray the militaristic intent of the game’s kingdoms and male characters. Once again, the artist created music that primarily fitted the game, but offered memorable melodies and richer styles to appeal to stand-alone listeners. The album received some criticism among stand-alone listeners, especially given the expectations yielded by Uematsu’s earlier scores for the series. However, many who played the game were endeared by the music and felt it represented the scenery, emotions, and history of Vana’diel very well. As a result, Mizuta became popular with the Final Fantasy XI online fanbase. Mizuta was chosen to handle music production for subsequent Final Fantasy XI updates under Hiromichi Tanaka’s development team. 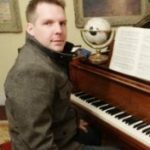 In initial roles, he created four soothing themes used in Final Fantasy XI’s PlayOnline menus and created a handful of compositions used on the online version of Tetris Master. He was subsequently asked to compose and implement about 20 pieces of new music for each of the new extensions to Final Fantasy XI released from 2003 to 2007. Mizuta elaborated on the acoustic style of the series to portray the rich jungles and deserts of Rise of the Zilart, the insidious emptiness of Chains of Promathia, and the Eastern adventures of Treasures of Aht Urhgan. He also offered new music for various miscellaneous updates, including special battle themes and the arrangement of the vocal theme “Distant Worlds”. Though his core musicality remained similar, he introduced something new to each extension, whether dark and hollow ambient pieces, worldly influences from the tropics and the East, quirky themes for the mini-games and festivals, and even experiments with jazz and techno. To celebrate the music of Final Fantasy XI, Mizuta formed the performance group The Star Onions in 2004. While their line-up has constantly changed, Mizuta remained a consistent contributor on bass guitar alongside guitarist Tsuyoshi Sekito, pianist Kumi Tanioka, and his old friend Masato Kouda. The band initially performed six folk-influenced acoustic arrangements of the franchise’s classics for FFXI Chains of Promathia Special Night, one of which was featured as a bonus track on the game’s eventual soundtrack release. The following summer, Mizuta reformed the band to produce the arranged album The Other Side of Vana’diel. His five arrangements had an upbeat jazz and synthpop emphasis and were coloured by performances by guest saxophonists, while diverse transformations were also contributed by Tanioka and Kouda. The Star Onions went on to make live appearances performing stylistically diverse new and old material at Japan’s FFXI Summer Carnival 2005, California’s FFXI Fan Festival 2006, and the Tokyo Game Show 2007. The band were well-received by the audiences at each performance, demonstrating how much Mizuta’s music has resonated with the Vana’diel community. Despite focusing most of his time on the continuous development of Final Fantasy XI, Mizuta worked on a number of minor projects when his schedule was less demanding. He offered a special arrangement of the opening theme for the crossover puzzle game Itadaki Street Special, blending the classically-oriented finesse of Dragon Quest’s music with the humorous personality of Final Fantasy. He thereafter reflected his personality with four tracks on Hanjuku Hero 4 ~The 7 Heroes~, including a minimalist Final Fantasy III arrangement and a rock-styled action composition. Supporting Square Enix’s explorations of new media, Mizuta created the music for the Square Enix Members’ portal Virtual World and produced a handful of tunes for the browser game The Shochu Bar; demonstrating his personal stylistic preferences on the latter, he offered several groovy lounge jazz tunes to complement the casual gameplay. He also contributed similarly styled original music to two of Square Enix’s original album releases — lively bass-punctuated improvisation “3 Minutes Fusion” on Square Enix Music Official Bootleg Vol. 3 and a spacey pop-flavoured contribution “Max Contrast 2009” to Music for Art. Mizuta maintained his involvement with the Final Fantasy XI with new music and album productions. He returned to score the expansion Wings of the Goddess, creating a range of nostalgic and militaristic music to accompany the journey back to the era of the Crystal War. 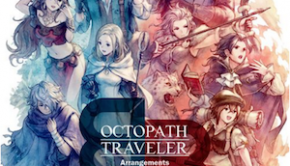 He has also created approximately 20 new compositions for the subsequent expansion chapters for the series, including a rendering of the series’ main theme. Mizuta has also continued to develop the Final Fantasy XI sound series as an album producer. In 2007, he commemorated the franchise with a seven disc box set, featuring four prior soundtrack releases, a disc of unreleased tracks, a ten piece piano collection, and an accompanying sheet music book. In 2009, he joined Takahito Eguchi and Masato Kouda to arrange The Star Onions’ second album, Sanctuary. The album offered a greater acoustic focus than its predecessor and faithfully enhanced the original material with rich instrumental performances. He has also produced an all new piano collection, an anniversary best compilation, and a vinyl record for the franchise. Having focused on Final Fantasy XI for so long, Mizuta was liberated to work on several new projects in 2009. He initially created the music for the DS RPG Blood of Bahamut and carefully adapted his musicality to meet the specific demands of the novel intellectual property. 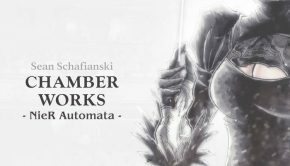 While employing orchestral samples throughout the project, he took a rather straightforward approach to the composition, in order to inspire memories of classic game music. The composer also produced a nostalgic score for the PC’s Season of Mystery: The Cherry Blossom Murders, complementing the Old Japan setting with some soft period orchestrations and the mystery-solving gameplay with subtle but stimulating compositions. Mizuta has recently worked on two retro-styled Final Fantasy games, the DS’ Final Fantasy: The 4 Heroes of Light and the mobile phone’s Final Fantasy Dimensions. On both titles, he produced music reminiscent of Nobuo Uematsu’s classic scores, focusing on strong melodies rather than elaborate arrangements. On the former, he fused orchestral compositions with chiptune sounds produced by Mitsuto Suzuki, while he focused on a 16-bit sound palette throughout the latter. 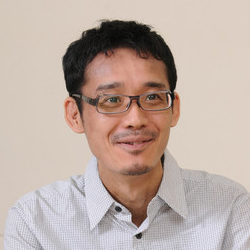 Mizuta received the opportunity to lead a next-gen score with 2011’s Final Fantasy XIII-2. Liberated by technology and inspired by the scenario, Mizuta took progressive and experimental approaches to all his contributions to the score. His contributions ran the gamut of emotions and emotions — spanning shimmering orchestrations and grandiose choral performances, to flirtations with rock and electronic music, to even a collection of vocal-focused area themes — and were gloriously received by fans. Benefiting from his years of experience working on MMORPGs, Mizuta has also supportred Final Fantasy XIV’s patches with some new music, preparing for the release of Final Fantasy XIV: A Realm Reborn. Further supporting Square Enix’s endeavours for smartphones, Mizuta recently supplemented the card battling RPG Guardian Cross with traditional orchestrations and enpowered Demons’ Score with two heavy metal main themes recorded with Shootie HG. In other guest roles, Mizuta a theme song performed by riya to the iOS re-release of Final Fantasy Dimensions and wrote a track for Sengoku IXA’s image album. Mizuta’s music for Final Fantasy XI continues to offer a colourful accompaniment to the journeys of its 200,000 daily users while proving marketable for new album releases and concert performances. Over a decade after the initial release of the MMORPG, Mizuta continues to be involved with its music. 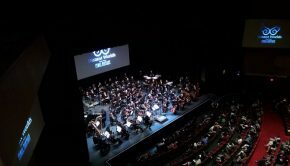 He regrouped The Star Onions for a special performance at Vanafest 2010 and went on to produce orchestral concerts to celebrate the MMORPG’s anniversary in Tokyo and Berkeley, appearing as a guest of honour at each. Mizuta has regrouped with the development team to write a full score for its recently announced fifth expansion, Seekers of Adoulin, due out in March 2013. Now able to balance such commitments with other projects, Mizuta is also concurrently co-composing a lavish score for Lightning Returns: Final Fantasy XIII. Having dedicated nearly a decade to Final Fantasy XI, Mizuta considers the project his life work and has left a unique musical legacy for the MMORPG.